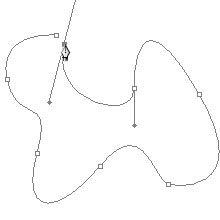 Pen Tool is just below thePath selection tool.With the help of pen tool we can create or edit straight lines,curves,or freedom lines and shapes.For most users,the pen tool provides the best control and greatest accuracy for drawing.We must close the path by joining the first anchor point and the last anchor point.Now we can select the drawn path shape. This is the Pen Tool.Just go onto this tool and click on it to select it. 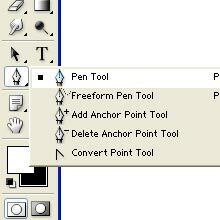 Select the pen tool and position the pen pointer where we want the straight segment to begin, and click to begin the first anchor point.The anchor point remains selected until we define the next point.In the same way we can select any particular area and also we can draw any shape.We must close the path by joining the first anchor point and the last anchor point. 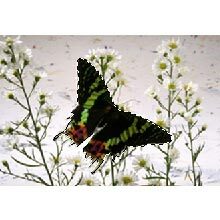 For example,we are having this image.If we want to delete that Butterfly. 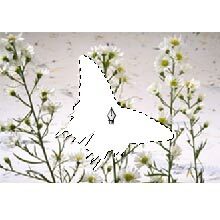 Here we can draw with pen tool from the edges and join the two end points. After joining, right click > make selection.A separate window appears in which we can give feather for the selection and click OK. The area will be selected.Now we can delete this area.